I rejected “reading” Jurisprudence for a B.A. degree because at the time that required translation of Roman law from Latin into English, a skill I did not have and did not think I could acquire “on the side” while doing everything else at Oxford. Instead, like many American Rhodes Scholars, I chose Philosophy, Politics and Economics or PPE. It was also known as “Modern Greats” to indicate that it was designed in the 1920’s to replicate some of the features of Classics or Greats or Literae Humaniores (Greek and Latin), one of Oxford’s traditional and famous courses of study. PPE, on the other hand, was designed to be a well-balanced course of study of the social problems of the modern world. PPE was organized in two subjects in each of the three PPE disciplines: General Philosophy (from Descartes to the present); Moral and Political Philosophy; Theory and Working of Political Institutions; British Political and Constitutional History Since 1830; Principles of Economics; and Economic Organization. The student also selected two additional subjects to study; I chose two in economics–Public Finance and Currency and Credit. During Oxford’s three eight-week terms of the academic year, you had two tutorials a week in these subjects. For the six required subjects there were usually only two students with tutors from your own college. For the optional subjects, you usually were alone in the tutorial and sometimes with a tutor from another Oxford college who specialized in those subjects. “The Left was never right.” Discuss this verdict with regard to British foreign policy between the world wars. Was the Right ever wrong? What do we mean by “James who now does this is the same person who did that?” How do we know we are correct? Is the City [London’s financial industry] vital to the U.K.’s role in world trade? Can it ever be justifiably claimed that a tariff is imposed for revenue purposes only? Is infallibility a pre-condition for knowledge? If not, why do we often think it is? In addition to preparing for and participating in tutorials, the students could, if they wished, attend university-wide lectures on the PPE subjects (or, if you wished, on any other subjects that interested you.) 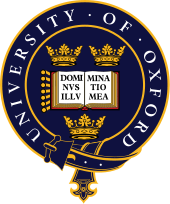 I attended some and heard some of the famous Oxford dons of the day: J. R. Hicks (economist), Gilbert Ryle (philosopher) and A. J. Ayer (philosopher) are ones that I remember. At the end of each term, as I recall, your tutors gave practice exams, which were evaluated and returned with comments. Also at least once a year one of your tutors would give an “oral report card” on your performance to the head of your college. The only “real” examinations were those given at the end of your time at Oxford. This memorable experience will be described in a subsequent posting. As I reflect on this educational experience, I especially value the way that the subjects were presented to the students. You were forced to come to a conclusion and justify that conclusion, rather than saying a lot about a subject and avoiding coming to your own conclusions. You also had great freedom. You could look for, and read, resources beyond those suggested by the tutor. You could attend lectures if you wanted to. Given the one-on-one nature of tutorials, a student could not hide and never say a word. Two of the more famous American Rhodes Scholars, Pete Dawkins and Bill Bradley, for example, read PPE. (See Post: Oxford in New York City (May 17, 2011).) Bill Clinton, who was a Rhodes Scholar at Oxford, 1968-70, started in PPE, but soon abandoned the program because he thought it was too repetitive of his U.S. undergraduate education. Clinton first switched to a graduate degree program (B. Litt. in Politics) that did not involve tutorials, but required a 50,000-word dissertation. His tutor, however, persuaded him that was a mistake and to switch instead to a graduate degree (B. Phil. in Politics), that had tutorials, essays, exams and a shorter thesis. Clinton made the switch, but did not finish this program and did not earn an Oxford degree; his memoir says he chose to go to Yale Law School rather than finishing the Oxford degree. (Bill Clinton, My Life at 141-43, 171 (New York: Knopf 2004); Ralph Evans (editor), Register of Rhodes Scholars 1903-1995 at 306 (Oxford: Rhodes Trust 1996).) In 2003 my wife and I attended a celebration of the centennial of the Rhodes Scholarships at Westminster Hall in London where Clinton was one of the speakers. He said his family was always embarrassed he had never earned an Oxford degree, but that year his daughter Chelsea redeemed the family honor by earning such a degree the prior day. (Bill Clinton, Speech: Rhodes Trust Centenary Celebration, July 2, 2003, http://www.clingtonfoundation.org.) Other American Rhodes Scholar-politicians who read PPE are U.S. Senator Richard Lugar and former Senators David Boren and Paul Sarbanes. (Register of Rhodes Scholars 1903-1995 at 201, 203, 269.) The current British Prime Minister, David Cameron, also read PPE, as did other prominent U.K. politicians (Harold Wilson, Edward Heath, Shirley Williams, Edwina Castle). (Wikipedia, David Cameron, http://en.wikipedia.org/wiki/David_Cameron; BBC News, Why does PPE rule Britain? (Oct. 31, 2010), http://www.bbc.co.uk/news/magazine-11136511. Handbook to the University of Oxford at 147-50, 158-60 (Oxford: Clarendon Press 1960); Wikipedia, Philosophy, Politics and Economics, http://en.wikipedia.org/wiki/Philosophy,_Politics_and_Economics. Wikipedia, William Ewart Gladstone, http://en.wikipedia.org/wiki/William_Ewart_Gladstone. U.S. reconciliation with Cuba is in the U.S. national interest. Cuba poses no threat to the U.S. Reconciliation would help improve the lives of many Cubans now living on the margin. Reconciliation also would advance U.S. economic and other interests. I will explain why I reach these conclusions. Then I will set forth what I see as the topics to be addressed in the necessary bilateral negotiations to reach the reconciliation goal along with a process to facilitate such negotiations. First, Cuba poses no threat to the U.S. Yes, Cuba is one of four countries on the U.S. list of “state sponsors of terrorism,” but such designation is not justified. Furthermore, there is absolutely no reason why the stated reasons for the U.S. designation of Cuba as a “state sponsor of terrorism” could not be successfully addressed in a good faith negotiation between the two countries. Second, Cuba’s regrettable human rights violations are understandable and could be more successfully addressed in direct negotiations between the two countries. Yes, Cuba has committed violations of human rights, as illustrated by the most recent U.S. State Department Human Rights Report on Cuba. As a human rights advocate, I deplore these violations. Yet given the long-standing U.S. hostility towards Cuba and the immense U.S. superiority in economies and militaries, it is understandable why Cuba has harshly treated what we call “dissidents.” Remember the U.S. usurpation of Cuba’s war for independence from Spain in the late 19th Century and our making Cuba a de facto U.S. protectorate in the early 20th Century. Remember too the U.S.-supported invasion of Cuba’s Bay of Pigs in 1961, and the Cuban missile crisis of 1963 and the CIA plots to kill Fidel Castro. The U.S. embargo of Cuba has now lasted for nearly 52 years. Most recently the U.S. Government’s Commission on Assistance for a Free Cuba set forth a U.S. blueprint for taking over Cuba. In short, Cuba has many legitimate reasons to be afraid of the U.S.
And we should know from our own history since 9/11 that societies and governments tend to clamp down on civil liberties when they fear outside interference or attacks. Cuba’s human rights record is often used as another justification for U.S. continued hostility towards Cuba and the maintenance of the embargo. Yet, I submit, this has been a failed strategy, and there is no reason to suspect that continuation of this hostility will bring about a change in Cuban human rights. Instead, good faith negotiations between the two countries aimed at normalization of relations, I believe, hold more promise for improving human rights in Cuba. Third, normalizing U.S. relations with Cuba would be in the economic interests of the U.S. Prior to the recent global financial and economic turmoil, Cuba had the highest economic growth rate in Latin America. This was due in substantial part to increasing world prices for two of its exports, nickel and cobalt. Exploration for oil off the north coast of Cuba is now proceeding. Cuba needs to import many agricultural products. Foreign tourists (mainly Canadians and Europeans) enjoy Cuba’s beautiful beaches and resorts. The global financial and economic turmoil has had a huge negative impact on the Cuban economy. The Cuban government wants to lay off 500,000 public employees (nearly 10 % of the total labor force), leaving them to try to support themselves as barbers, hairdressers and similar occupations. The government also wants to eliminate the food ration card system that provides limited quantities of basic foods at low, subsidized prices. Such changes increase the economic incentives for Cubans to leave the island and somehow get to the U.S.
Our economic embargo of the island deprives our own businesses and farmers from benefiting from trade with the island. In addition, our embargo provides economic opportunities for other countries, and increasingly China, to fill the void. Fourth, normalizing relations with Cuba would be in the overall interest of the U.S. The U.S. has many pressing real problems in the world, and Cuba is not one of them. Normalizing our relations with the island would be seen by most people in the world, especially Latin America, as a sign that the U.S. is a mature, rational country. 12. Cuba’s re-entry into the Organization of American States. Such a mediator indeed could step forward and invite representatives of both countries to participate in mediated negotiations, rather than wait on them to agree on such a process. As a private citizen I unsuccessfully have tried to interest two international organizations in doing just that. As a result of the above analysis, I strongly disagree with the stated position of the Obama Administration. On May 13, 2011, President Obama said (in Miami), “I would welcome real change from the Cuban government … For us to have the kind of normal relations we have with other countries, we’ve got to see significant changes from the Cuban government and we just have not seen that yet.” He and Secretary of State Clinton previously have made similar statements. The Administration, in my opinion, is wrong on this policy for two reasons. First, the U.S. should not insist on another country’s making certain internal changes before even talking about a whole range of issues that need to be resolved in a bilateral relationship. Indeed, this is exactly what the U.S. is advocating for Israel and the Palestinians. Second, the Administration is wrong as a matter of fact about the changes that have been happening in Cuba over the last 18 months or so. The Cuban government has announced major changes in the economic structures–planning to fire 500,000 public employees and allowing greater private enterprise and economic freedom. Some workers are organizing unions. A small farmers group is calling for an end to the state’s food distribution monopoly. The government is cracking down on corruption. Cuba as a result of an agreement that was brokered by the Roman Catholic Bishop of Havana has released most, if not all, of its political prisoners. See Post: The Ridiculous U.S. Designation of Cuba as a “State Sponsor of Terrorism” (May 20, 2011). U.S. State Dep’t, 2010 Human Rights Report: Cuba (April 8, 2011), http://www.state.gov/g/drl/rls/hrrpt/2010/wha/154501.htm. U.S. Commission on Assistance for a Free Cuba, http://www.cafc.gov. The Commission apparently has been abandoned by the Obama Administration because it is not mentioned on the current U.S. State Department website. The “Cuban Five” are five Cubans in U.S. prisons after convictions for conspiracy to commit murder; conspiracy to commit espionage; conspiracy to commit crimes against the U.S.; use of false identity and documentation; and being unregistered agents of a foreign government. In Cuba, they are regarded as heroic patriots. A future post will discuss their case. Gross is a U.S. citizen who was arrested in Havana in December 2009 and later convicted of illegally distributing in Cuba satellite communications equipment as a subcontractor of USAID. E.g., Puerto Rican Nationalist: Not Guilty in Bank Heist, N.Y. Times (May 21, 2011), http://www.nytimes.com/aponline/2011/05/20/us/AP-US-Puerto-Rico-Robbery.html?sq=CUBA&st=nyt&scp=3&pagewanted=print (Puerto Rican nationalist pleads not guilty in 1983 U.S. bank robbery; another suspect in the robbery is believed to be living in Cuba). E.g., Howell, Oil Spill Panel’s Chairman Says His Push for Cuba Talks Irked Obama Admin, N.Y. Times (May 17, 2011); Reuters, Cuban Oil Rig Set to Cause Waves in Washington, N.Y. Times (May 17, 2011). The two organizations were The Elders, an independent group of eminent global leaders focused on peace building (http://www.theelders.org/elders) and the Oslo Center for Peace and Human Rights (http://www.oslocenter.no/index.php?option=com_content&task=view&id=12&Itemid=29). Reuters, Obama wants “real change” in Cuba before Normal Ties (May 13, 2011). Ariosto, Cuba to free five more prisoners, CNN, Oct. 21, 2010 (Obama said, “I think that any release of political prisoners, any economic liberalization that takes place in Cuba is positive, positive for Cuban people, but we’ve not yet seen the full results of these promises”); Oppenheimer, Obama unwilling to make new gestures to Cuba without action from Havana, Miami Herald (March 23, 2011)(Obama said, “The Cuban government made some gestures about releasing political prisoners and starting some market-based economies with small business opportunities. (But) we haven’t seen as much follow-through as we would like”); Secretary of State Clinton, Remarks at the 41st Washington Conference on the Americas, (May 11, 2011) (Secretary of State Clinton said the U.S. “could do more [to improve relations with Cuba] if we saw evidence that there was an opportunity to do so coming from the Cuban side because we want to foster these deeper connections and we want to work for the time when Cuba will enjoy its own transition to democracy, when it can look at its neighbors throughout the hemisphere and the people in Cuba will feel that they, too, are having a chance to choose their leaders, choose their professions, create their businesses, and generally take advantage of what has been a tremendous, great sweep of progress everywhere but Cuba.”); Lopez, The “Low Point” in U.S.-Cuba Relations–One Year Later Havana Note (May 2011). In earlier posts, I described two roads not taken–becoming a Protestant minister or a professional historian. Another was not going to graduate school in economics after reading PPE (Philosophy, Politics and Economics) at Oxford. That was primarily because I had had hardly any of the necessary mathematics in college and did not want to embark on a lengthy pursuit of a Ph.D.
After four years of being a Wall Street lawyer, I already have talked about my choosing not to remain at Cravath, Swaine & Moore to compete for one of its partnerships. At the same time I declined an offer to teach at the University of Iowa College of Law. That was because I had enjoyed practicing law, because practice was more lucrative than teaching, and because I did not have some brilliant legal scholarship waiting to be unleashed. Other paths not taken were because I was not chosen. I already mentioned not winning a White House Fellowship in the last semester of law school. At the same time my applications for U.S. Supreme Court clerkships with Chief Justice Earl Warren and Justices Potter Stewart and Byron White were rejected. Such clerkships, of course, are pursued by many top law graduates because they are fascinating, challenging and prestigious jobs that open many doors for subsequent legal careers. After registering for the military draft at age 18, I had college student deferments (Class 2-S) that covered my nine years at Grinnell, Oxford and Chicago. But in my last semester of law school, I received a notice from my draft board to report for an Armed Services physical examination and thus potential military service. As it turned out, my wife was pregnant with our first child, and I thus was entitled to a new deferment (Class 3-A) because of dependant’s hardship. As a result, I never had to serve in the military, and I did not volunteer to do so. I missed the Vietnam War, much to my relief then and now. While I was at the Faegre & Benson law firm, I was unsuccessful in my efforts to be appointed to vacancies on the Minneapolis School Board and the U.S. District Court in Minnesota as a judge and then later as a magistrate judge. I also was unsuccessful in seeking the Deanship of the Hamline University School of Law. These jobs all sounded interesting, challenging and rewarding. The last three also would have allowed me to escape the pressures of practicing law. I also have mentioned my not being offered a teaching position in Ecuador after I retired. I have no regrets about these roads not taken although I will never know what would have happened had I chosen or been chosen for one of them. But clearly the road I did take “has made all the difference” in my life. Indeed, the road you take and the many decisions you made at various forks in the road along the way constitute your life. Robert Frost, The Road Not Taken in Mountain Interval (1915). Post: Adventures of a History Detective (4/5/11); Post: Minneapolis’ Westminster Presbyterian Church (4/6/11). Post: Lawyering on Wall Street (4/14/11). 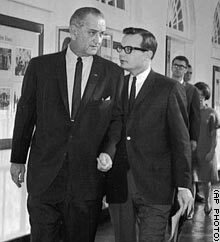 Post: Questioning President Lyndon Johnson (4/17/11). Post: My First 10 Years of Retirement (4/23/11). In March 1966, during my final semester of law school, I was one of 38 national finalists for 16 White House Fellowships. This fellowship program had been started in 1964 by President Lyndon Johnson to provide one-year high-level positions in the White House and Executive Branch to future leaders so that afterwards the individuals could take that experience into their regular jobs and be better informed about important public policy issues and the workings of the federal government and, therefore, be better citizen leaders. The other finalists and I were brought to a Virginia retreat center for interviews by members of the Fellows Commission, including John Gardner (then U.S. Secretary of Health, Education and Welfare Department) and C. Douglas Dillon (former U.S. Secretary of the Treasury Department). 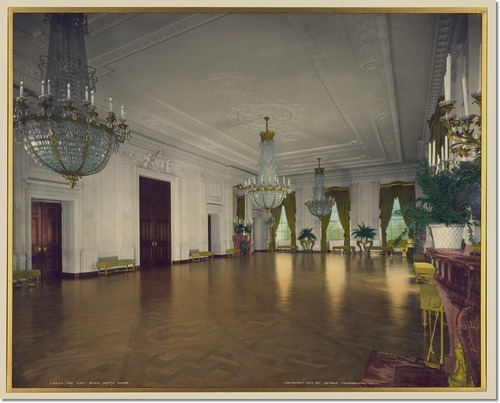 Afterwards on March 29th we all were bused to the White House and mid-afternoon were escorted to the East Room where the winners would be announced. Before the announcement, however, President Johnson unexpectedly entered the Room. He first joined his daughter Luci Baines Johnson, who was substituting for her ill mother, to greet the finalists. The President then walked around, shaking hands and making individual comments. Johnson then called for everyone’s attention. He said that when he was a young man in Washington, he always wondered what it would be like to come to see the president and what the president would say while the young Johnson knew what he hoped the president would say. Johnson then remarked that perhaps the finalists would like to ask him questions rather than hearing him give a dry lecture. There was an awkward silence. The other finalists and I were hesitant to ask the first question, and Johnson told a few jokes to loosen up the people in the Room. Finally one of the finalists asked what previous presidents would have been selected as Fellows if there had been such a program in their day. Johnson laughingly replied that Wilson, Franklin Roosevelt and Kennedy undoubtedly would have been selected, but he did not think that Truman and Johnson himself would have made it. Other finalists asked Johnson questions about the Viet Nam war, the current visit to Washington of Indian Prime Minister Indira Gandhi and the Fellowship program itself. Word of this impromptu presidential question and answer session got back to the White House Press Room, and journalists belatedly arrived and stood at the back of the Room taking notes. Johnson’s Press Secretary, Bill Moyers, was next to Johnson during the session and kept trying to end it, but Johnson was enjoying himself and continued to respond to questions. During this session I was standing about 10 feet from President Johnson. There was concern at the time about inflation with the February 1966 Consumer Price Index up 0.5%, the highest increase in that month since 1951, and whether the President would ask Congress for a tax increase to fight inflation. So I asked the President if he would be seeking such a tax increase. Tugging at his big right ear lobe, Johnson responded in a folksy manner in his Texan drawl. He first said that he was more worried about economists than he was about the economy and that he had not made up his mind on the tax increase idea. He added that he did not want to ask for an increase, especially in a midterm election year, but if he decided a tax increase was necessary to cool off the economy, he would ask Congress for a “modest” rise of 5 to 7 per cent in the taxes paid by individuals and corporations. Johnson also said he had ruled out reductions in federal government spending and wage and price controls as other ways to combat inflation. The President’s Daily Diary for that day says that this answer and his “mention of the Tax Rise to be proposed” was the headline in many newspapers the next day, as indeed it was. This news the next morning prompted a sharp decline in the stock market–the largest in two weeks. Reacting to this market decline, the President around noon on March 30th told journalists that he “absolutely” had not made up his mind about the need for a tax increase. The market responded with a momentary uptick, but it closed lower that day. Thereafter I joked that I caused the stock market to fall. At the conclusion of the meeting the prior day in the State Dining Room, the announcement of the 18 new Fellows was made. I was not one of the lucky ones. White House, White House Fellows, http://www.whitehouse.gov/about/fellows. Lyndon Baines Johnson Library & Museum, President Lyndon B. Johnson’s Daily Diary Collection (March 29, 1966), http://www.lbjlibrary.org/collections/daily-diary.html. Id. ; Pomfret, Johnson Favors 5-to-7% Tax Rise If Any Is Needed, N. Y. Times, Mar. 30, 1966, http://query.nytimes.com/mem/archive/pdf?res=F10B12FC3F59177B8EDDA90B94DB405B868AF1D3; Rossant, Flexibility and Taxes; Johnson’s Hint of Relaxing Opposition To Rise Is Gain for ‘New Economists,’ N.Y. Times, Mar. 30, 1966, http://query.nytimes.com/mem/archive/pdf?res=F10D11FE3E59177B8EDDA90B94DB405B868AF1D3; Wicker, The Inflation Debate, N.Y. Times, Mar. 30, 1966, http://query.nytimes.com/mem/archive/pdf?res=F1071FFD3F59177B8EDDA90B94DB405B868AF1D3; Editorial, The Economy’s Pulse, N.Y. Times, Mar. 30, 1966, http://query.nytimes.com/mem/archive/pdf?res=F10617F83F59177B8EDDA90B94DB405B868AF1D3. Abele, Tax Uncertainty Upsets Markets, N.Y. Times, Mar. 31, 1966, http://query.nytimes.com/mem/archive/pdf?res=F10D15F63959177B8EDDA80B94DB405B868AF1D3. Capital Fellows End a Year at Top, N.Y. Times, Mar. 30, 1966, http://query.nytimes.com/mem/archive/pdf?res=F10E1FFD3F59177B8EDDA90B94DB405B868AF1D3.